Our Christmas cocktails are low in calorie, high in taste and a cinch to make. You're going to love our easy Christmas cocktails! Perfect for girls' nights or family gatherings, every one of our Christmas drinks is a crowd pleaser. Christmas cheer for everyone — in five minutes or less! Everyone loves a festive Christmas cocktail, and a signature drink — or two! — is a must-have for every holiday gathering. Our Christmas cocktails are each made in five minutes or less and are as low-calorie and refreshing as they are pretty and delicious. Dazzle your holiday guests with our low-calorie Christmas cocktails made in five minutes or less! Tangerine vodka goes down smooth and easy with the delicious taste of a freshly peeled tangerine. Mixed with delicious citrus flavors, this is a low-calorie, amazingly refreshing vodka cocktail that's sure to please! 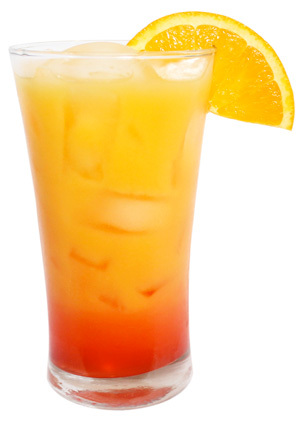 Combine all of the ingredients over ice and garnish with an orange wedge. Skinnygirl Bare Naked Vodka is smooth, clean and slightly sweet. 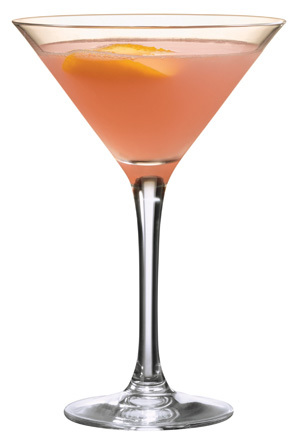 And this pretty cocktail is as simple to make as it is to show off! Your guests are going to love this crowd-pleasing, low-calorie cocktail. In a shaker filled with ice, shake together the cran-raspberry juice and vodka. 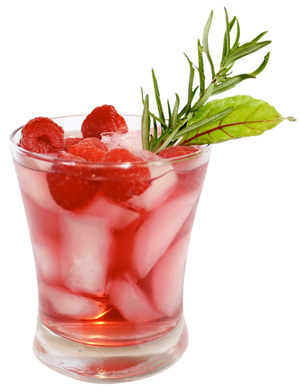 Serve on the rocks garnished with raspberries, fresh rosemary sprigs and a beet leaf. Skinnygirl Prosecco is the brand's first sparkling option! Its delicate, fruity flavor has a perfect hint of honey, and mixed with pomegranate juice, it's low-calorie, scrumptious perfection. Fill 1/4 of a Champagne flute with pomegranate juice. Top with Skinnygirl Prosecco and enjoy. S kinnygirl Prosecco's delicious freshness and dry, well-balanced taste marry perfectly with sweet-tart grapefruit and cranberry flavors. This pretty low-calorie drink is as smooth as it is festive! Mix all of the juice ingredients in a cocktail shaker with ice. Top with Skinnygirl Prosecco and ginger ale. Garnish with a grapefruit slice and enjoy. Kissed with vanilla, Skinnygirl White Cherry Vodka is subtly sweet and so good, you can simply serve it as-is over ice or create this simple yet elegant sip. This cocktail is the perfect complement to any occasion. Pour Champagne into a flute. Top with Skinnygirl White Cherry Vodka, garnish with one frozen cherry and enjoy!